Well look what we have here, CNN notices local firearm businesses and the high demand for female firearms instructors. Last years increasing demand for firearms has led way for more training from certified firearms instructors and guess who has one of the best looking and most qualified female instructors?! That’s right, National Shooters Instructor Lindsey (also my wife) has received hundreds of hours of professional defensive firearm instruction and has trained many entry level classes here with National Shooters. Reach out to Lindsey(AT)NationalShooters.com or contact us through the site for information regarding our NRA certified basic shooting classes (Handgun 101) or our entry level conceal carry and home defense program (Armed Self Defense Training Day). Don’t forget to skim the blog for information on how to prepare for a Conceal Carry and Armed Self Defense class. 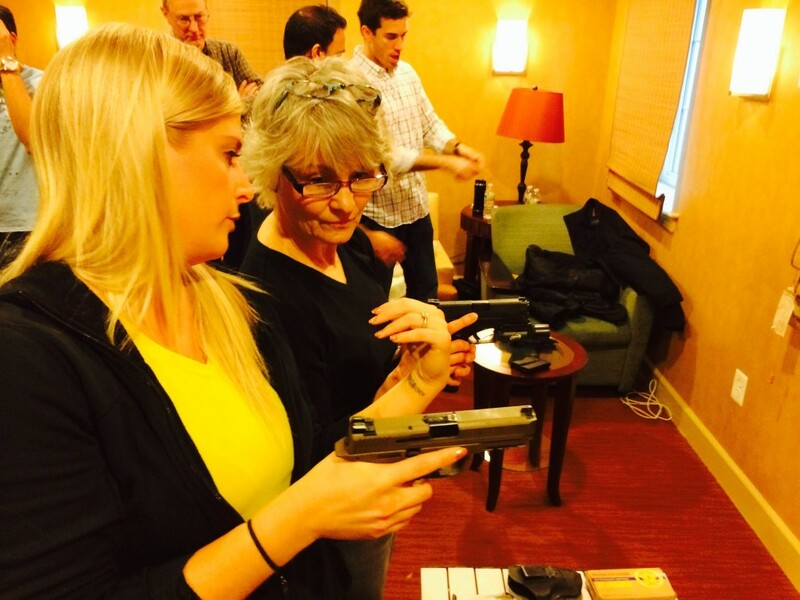 Pat attended our April Conceal Carry and Home Defense Class. 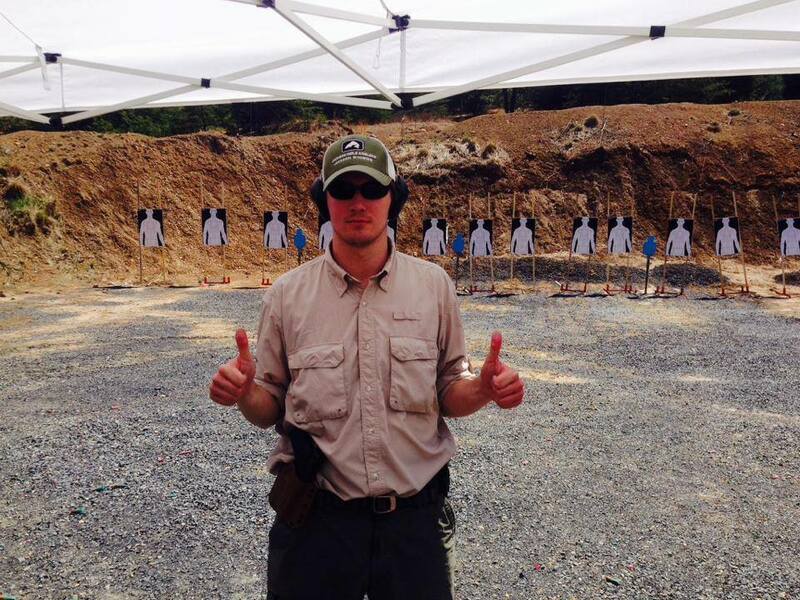 It was his first firearms class ever and he did great! Thanks Pat! I would highly recommend this class for any level shooter. I am a novice shooter, only been shooting for about a year and this class gave me a lot of confidence. It covers a wide range of topics including mitigation strategies, when and how to approach a target and of course, what I went there for, shooting. The instructors were extremely friendly, professional and approachable. 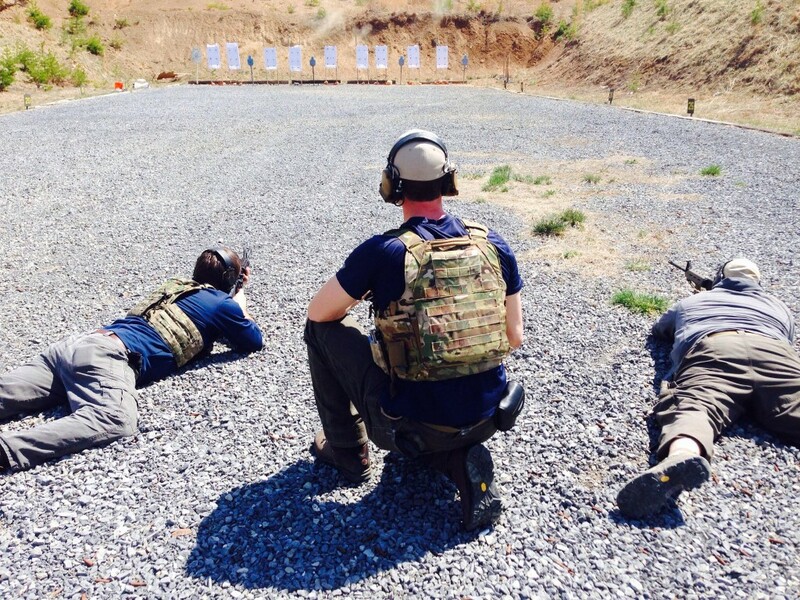 Both Lindsey and Sean did a lot of 1 on 1 training, which catered to each shooter’s specific needs and skill set. Set in the mountains of West Virginia, the location was fun to shoot at as well as beautiful. Overall, if you’re looking for an affordable and informative class with great instructors and to learn while having fun, this is definitely the one for you. Thanks National Shooters for a great weekend, I’ll definitely be back. Hope to see you out there again soon!